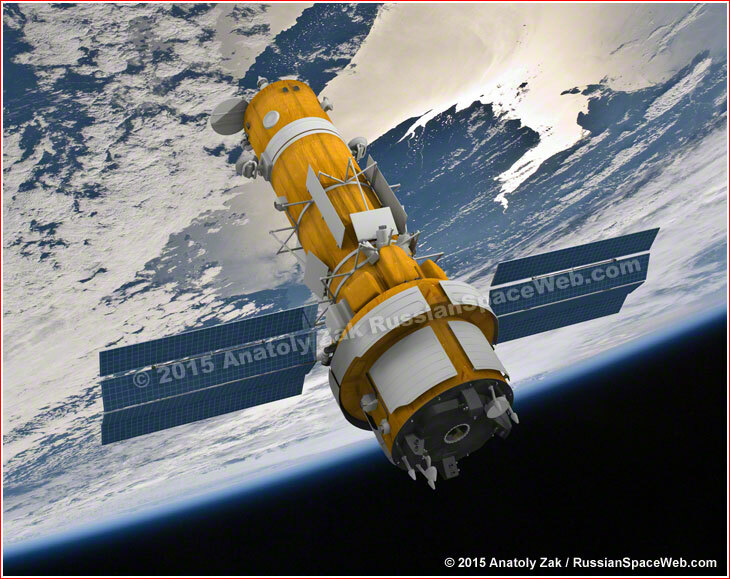 Artist reconstructions of an unidentified imaging satellite, whose architecture could be related to the Sapfir and Persona projects. The Persona satellite, which also reported to be known as Kvarts (Quartz), traces its roots to the Sapfir project first proposed by TsSKB Progress in 1979. In the course of the project development, the Sapfir (sapphire) was envisioned as a 16-ton spacecraft that would be deployed and possibly serviced in orbit by cosmonauts of the Buran reusable space plane. A full-scale development of Sapfir at TsSKB Progress was authorized in 1983. 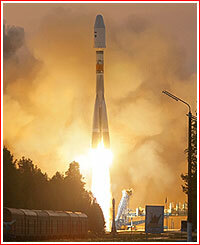 At the time, the first launch of the 14-ton vehicle was projected for 1986 on the Zenit or Proton rocket. Sapfir would transmit imagery to the ground via a special data-relay satellite. Designated Sapfir-V, where "V" stands for vysoko-orbitalny, or high-orbital, Sapfir would be orbiting the Earth in the elliptical orbit climbing as high as 10,000-20,000 kilometers to obtain imagery of very wide areas, but at lower resolution than one-meter details discernable from the Araks-N satellite, which would be deployed in lower orbit. Sapfir-V's orbits were designed to let satellites stay within view of the area of interest up to 20 minutes at a time transmitting live imagery, as it climbed toward and descended from the high point of its orbit and followed by a quick swing around low point of its orbit positioned on the opposite side of the globe. Military planners expected Sapfir-V to focus on the European region watching the main Cold War frontier between the West and the East. 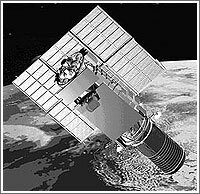 In 1992, Sapfir was expected to be joined by a radar-carrying surveillance satellite capable of all-weather observations of the Earth surface. By 1990, the LOMO company in Leningrad (now St. Petersburg) finally assembled the first flight version of a powerful 17V321 optical telescope for the Sapfir satellite and worked on two follow-on systems. 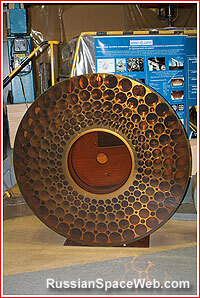 The 1.5-meter main mirror of the telescope was manufactured at the Lytkarin Plant of Optical Glass, LZOS. However around the same time, TsSKB Progress was overloaded with work on the Energia-Buran program. The Sapfir project was also plagued by lack of high-tech components and systems, particularly high-sensitivity infrared sensors. A critical review of the project led to the decision in January 1989 to postpone the launch of Sapfir until 1991 -- the year the USSR disintegrated. (76) The Sapfir project had apparently lingered until the end of the 1990s before being formally canceled. A nearly completed vehicle remained for years in the processing building in Samara. Following the cancellation of the Sapfir project, TsSKB Progress proposed to recycle three leftover telescopes in various stages of completion for a smaller, cheaper spacecraft to be launched on the Soyuz-2 rockets. The new vehicle would also use hardware developed inside post-Soviet Russia, replacing old contractors in the former republics of USSR, first of all those in Ukraine. 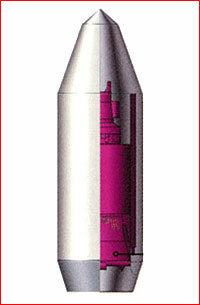 At the turn of the 21st century, the Russian government decided to fund at least one such spacecraft within the armaments development program covering a period until 2010. 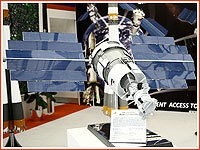 In 2000, NPO Lavochkin, the developer of the Araks satellite, and TsSKB Progress, a leading spy satellite developer in Russia, submitted competing bids for the project. NPO Lavochkin planned to use an optical system from the Araks project combined with a brand-new unpressurized service module. 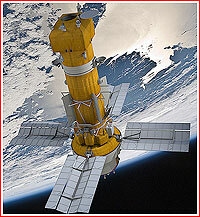 The capability of the proposed spacecraft were as good or exceeding those of the Araks satellite. 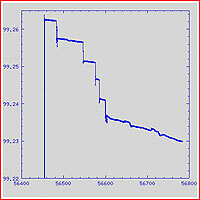 One improvement included a major increase in the image transmission rate. In contrast, a proposal from TsSKB Progress was based on the Resurs-DK satellite, whose design was formulated in accordance with the requirements of the Russian space agency, rather than deriving from higher requirements demanded by the military. Still, it was clear from the outset that TsSKB Progress was "doomed" to win the tender. Both, a civilian space agency and the Ministry of Defense felt that they owed to give the company a lucrative contract in order to preserve the survival of the development potential in Samara, including the production of the critically important Soyuz family of rockets. Ironically, then deputy chief of the Russian space agency Georgy Polishyuk, who later became the head of NPO Lavochkin, helped to wrestle the project away from Lavochkin. With a mass exceeding seven tons, the spacecraft code-named 14F137 Persona was designed to fit onto the Soyuz-2 rocket, which would launch it into a high-inclination orbit extending from pole to pole and enabling to photograph virtually any point on the Earth surface. The Persona would transmit high-resolution images via high-capacity radio channels during its seven-year life span for the Reconnaissance Directorate of the Chief of Staff of the Russian armed forces. In the middle of 2013, OAO NII TP development center disclosed that Persona satellites carried its Kub-Kontur command and measurement system designed to uplink and downlink commands between the spacecraft and ground stations. It also helps to track the satellite's orbital parameters. According to NII TP, the spacecraft was equipped with an onboard memory, ZU, which allowed to store information until the satellite would enter the communication range of ground station and downlinked the data. All information was strictly encrypted, NII TP said. Each user of the satellite would have a unique electronic key to access the data. 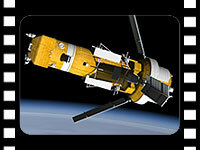 The new satellite would replace the Yantar-4KS1M Neman spacecraft. According to the original plan, the first Persona satellite would have to be launched in 2004. However by 2002, technical problems pushed the inaugural flight to 2006. As the project struggled with delays and cost overruns, two other leading spacecraft developers -- NPO Lavochkin and RKK Energia -- proposed to launch a third Araks satellite as a stop-gap measure, as well as follow-on designs based on their own hardware. However, the Russian government chose to stick with the original plan. At the beginning of 2006, the launch of Persona was officially set for 2007, however all involved with the program knew that the project could be pushed as far back as 2009 or even 2010. By 2008, the price tag for the Persona project had reportedly reached five billion rubles. After many delays, the first Persona was finally shipped to Plesetsk in 2007 for a launch scheduled for January 2008. Even then, the shipment to the launch site was reportedly ordered in order to report to the government reaching this major milestone. At the time, the vehicle was still far from readiness, resulting in delays of the launch to February, April and, finally, to the end of July 2008. During the Spring, some components on the spacecraft were reportedly damaged during a botched test. Approximate launch sequence and a ground track during Persona launches. After a one-day delay by technical problems, the Soyuz-2-1b rocket flew its first mission from Plesetsk with the new-generation military satellite. According to the official Russian press, the launch vehicle lifted off on July 26, 2008, at 22:31 Moscow Time, carrying a military satellite designed to work for seven years. The separation of the payload from the launch vehicle was scheduled for 22:40 Moscow Time on the same day. A representative of the Russian space forces confirmed that the satellite officially named Kosmos-2441 had successfully reached its orbit. Western radars found the payload in a 196 by 727-kilometer orbit with an inclination 98.3 degrees toward the Equator. A second fragment from the mission -- apparently the upper stage of the Soyuz-2 rocket -- was detected in a similar orbit. At the beginning of August, the satellite reportedly fired its engine as it was passing its apogee (the highest point of its orbit). As a result, its orbit became circular at an altitude of around 720 kilometers. Mission control then successfully downlinked the first test images from the spacecraft around August 12. However in February 2009, Rossiskaya Gazeta reported that the first Persona spacecraft had failed before it had a chance to enter service due to the failure of onboard electronics. (326) According to some rumors, the manufacturers blamed the loss of the satellite on the wrong choice of its orbit, which reportedly put the spacecraft on the very edge of the Earth's radiation belt. Industry sources said that the failure of one critical avionics part had led to the crippling of the satellite. This component reportedly used imported low-cost electronics, which were not designed to withstand space radiation. As a result of the failure, the spacecraft reportedly lost its capability to transmit images to the ground. Around mid-April 2009, radar tracking showed signs that Persona had climbed slightly from its slowly decaying orbit and then quickly giving up around a half of this altitude gain. Due to relatively slow pace of the "maneuver", observers suggested that some onboard leak were pushing the spacecraft or radar observations were accumulating some slight errors. At the time, it was unclear whether the satellite was continuing to function, however some rumors suggested that it had remained under control and stayed in contact with the ground, however was unable to perform its primary function. TsSKB Progress apparently started building a second copy of the Persona satellite from available spare parts and using its internal funds. However without full-scale government funding, the work faced inevitable delays. In April 2011, an industry publication indicated that six gyroscopic orientation systems, known as SGK, had been "cannibalized" from the second Persona satellite in order to complete the assembly of the non-classified Resurs-P satellite. It is also known that NII TP design bureau upgraded a high-speed communications gear, VRL, for the second Persona. According to the company's press-release from 2013, a total input of Persona's digital information channel reached 23 gigabit per second, or four times more than on the original satellite. It was achieved thanks to more advanced avionics and better encoding and compression data algorithms. In January 2011, the head of TsSKB Progress Aleksandr Kirilin promised the launch of two imaging satellites during 2011, one of which would be a dual-purpose Resurs-P spacecraft. (601) Observers assumed that the second satellite would be Persona. However both missions had to be delayed until 2012. At the beginning of 2012, Kirilin promised the launch of two military spacecraft: one in the spring and another in November. (562) The statement possibly referred to a reconnaissance satellite that lifted off on May 17 or, possibly to a Bars spacecraft and to Persona, which had to wait yet again. In August, the same publication reported that Roskosmos had asked TsSKB Progress to pay back 400 million rubles for failing to build a new type of propulsion systems for a pair of advanced satellites by the agreed deadline. At the time, missions in question were promised to lift off during January-February and May-September 2013. (599) Again, observers assumed that Resurs-P and Persona were the recipients of the new engines. The second Persona satellite was delayed from 2012 to 2013 by problems with attitude-control sensors. The same problem also affected the Resurs-P satellite. In June 2013, official Russian sources confirmed that a military mission believed to be carrying the nation's most advanced reconnaissance satellite lifted off. According to a representative of the Russian Ministry of Defense, quoted by the RIA Novosti news agency, the Soyuz-2.1b launch vehicle lifted off from Site 43 at Russia's northern cosmodrome in Plesetsk on June 7, 2013, at 22:37 Moscow Time. Russian tracking network was expected to start controlling the satellite within the range of the nation's ground stations at 00:13 Moscow Time on June 8, the agency quoted Colonel Dmitry Zenin from the press-service directorate of the Air and Space Defense Forces. Zenin also confirmed a successful separation of the spacecraft from the third stage of the launch vehicle and its insertion into the Earth orbit. 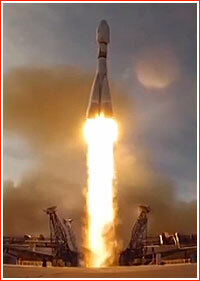 The Interfax news agency the quoted the same official as saying that the Titov Chief Test center was in control of the satellite officially designated Kosmos-2486 and the spacecraft maintained telemetry communications with the ground and all onboard systems were functioning normally. According to unofficial reports, the liftoff took place on June 7, 2013, at 22:37:59 Moscow Time, with Persona No. 2 satellite onboard. The Western radars detected the satellite in a 187 by 703-kilometer orbit with an inclination 98.308 degrees toward the Equator and an orbital period of 93.48 minutes. By June 9, the satellite fired its own engine in the apogee of its orbit making it 721 by 703 kilometers. The launch of the second Persona reconnaissance spacecraft came almost five years after a costly failure of the original spacecraft in a series. Symptomatic of the Soviet and Russian high-tech industry, the botched mission was blamed on the low quality of onboard electronics, which hampered efforts by the Russian military to modernize its strategic assets despite improved funding during the previous and the current decade. On July 9, Persona No. 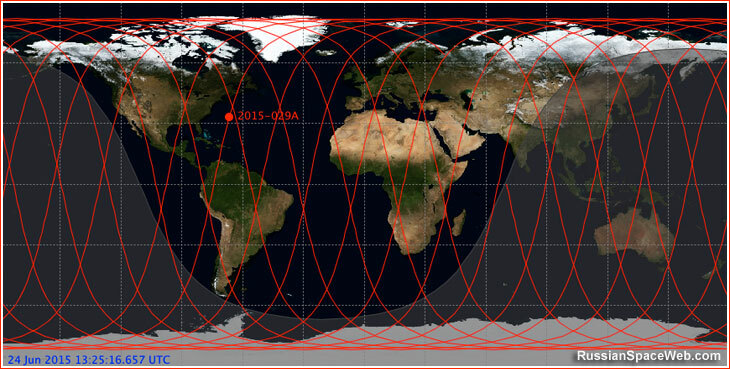 2 performed a small orbit adjustment which lowered its average altitude by about 0.2 kilometers, apparently with a goal of fine-tuning its final operational Sun-synchronous orbit, observers said. In July 2013, NII TP design bureau published a press-release stating that Persona No. 2 was undergoing flight testing. 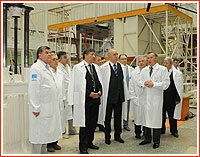 The company congratulated its staff with the successful commissioning of the communication gear onboard the satellite. However shortly thereafter, the spacecraft was apparently lost, prompting Russian air and space defense forces, VKO, to take out of retirement a previous-generation Kobalt-M satellite and launch it on May 6, 2014. However, given the short life span of Kobalt-type spacecraft, it would be only a temporary solution to the problem of inadequate high-resolution imaging capabilities available to the Russian military in a midst of the Ukrainian crisis. According to Jonathan McDowell, an astrophysicist at the Harvard-Smithsonian Center for Astrophysics and a space flight historian, available radar data shows that following its initial orbit correction maneuver on June 9, 2013, the spacecraft conducted very small engine burns on July 9, September 11, October 20 and November 4. Combined they resulted in the reduction of the satellite's perigee by around two kilometers. However after November 4, 2013, any movements of the satellite, if any, were too small to distinguish them from observational errors. The lack of maneuvers does not necessarily means that the satellite was dead, because its orbit as high enough for a stable flight during a prolonged period of time. On Aug. 8, 2014, the Kommersant daily reported that Russian ground controllers had been able to upload new software into the main flight control computer onboard Persona-2, thus reviving Russia's flagship spy satellite from its failure in 2013. According to the newspaper, during the testing of the spacecraft in orbit previous November, ground controllers discovered that more than half out of 24 memory processors in the satellite's high-speed communications line had failed, crippling its capabilities. After many failed attempts to reactivate the satellite by a joint team of military flight controllers and its developers at TsSKB Progress, the company's young specialist single handedly succeeded in re-uploading the software, the Kommersant claimed. Western radar data did show Persona-2 conducting maneuvers in June 2014. 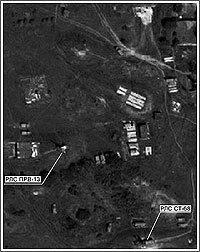 Above: A photo showing Buk-M1 anti-aircraft systems near Donetsk, Ukraine, on July 14, 2014, at 11:40 a.m., was likely taken by the second Persona satellite. The satellite came back to life just in time for the escalating conflict between Russia and Ukraine, which led to the Malaysian Airlines' Flight MH17 tragedy on July 17, 2014. Immediately after the incident, pro-Russian separatists in the region announced via their social media channels that they had shot down another Ukrainian aircraft, as they had done several times in the past. The announcement was removed after it became clear that a foreign passenger aircraft had been destroyed. A Russian-made Buk anti-aircraft missile system was singled out as the weapon that has a capability to reach a high-flying passenger airliner. However the question who exactly fired the missile has become a subject of an intensive information war between Russia and the West. 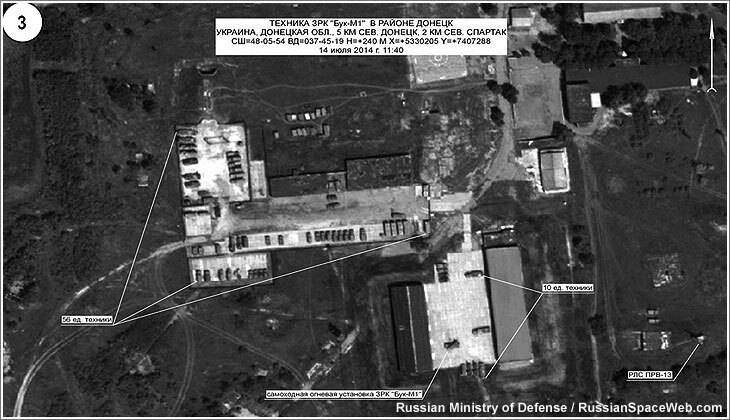 On July 21, the Russian Ministry of Defense released a series of satellite images to support the Russian version of events, blaming Ukraine for the tragedy. The Russian officials presented these photos as a proof that Ukraine could've been in control of the missile battery responsible for the MH17 disaster. The Ukrainian authorities responded nine days later, claiming that the Russian satellite photos had been either doctored or mislabeled to shift the blame to Ukraine. However the time indicated on Russian photographs could be checked against predicted passes over the region of a few Russian imaging satellites. It appeared that the time indicated on three of these photos had matched the time when the second Persona (a.k.a. Kosmos-2486) had flown over the area. The time on two other photos was matching the pass of Persona's "civilian cousin" -- Resurs-P No. 1. If these estimates are correct, it would be the first time photos from Persona had been publicly released. 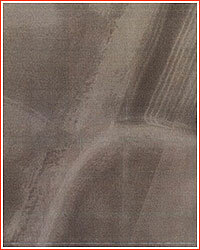 It could also be the first publicly released images from a currently operational Russian reconnaissance satellite. Interestingly, Russian press-releases on the subject also went into great length to "expose" the origin of satellite images provided by the Ukrainian authorities. The Russian Ministry of Defense said that the Ukrainian satellites Sich-1 and Sich-2 had not flown over the crash site on July 12, 16, 17 and 18. Such an "argument" indicated that the authors of the document had been unaware that both of these satellites had been out of commission. The Russian document went on to say that a US KeyHole satellite had flown over the area at the time, thus confirming that the US had also made a rare move of releasing images from a currently operational classified spacecraft. Obviously, in both cases, it is unclear whether these images were demonstrating the full resolution achievable with the satellites' cameras. In August 2012, industry documents indicated that the third copy of the Persona satellite was in development. Following the successful launch of Persona No. 2 on June 7, 2013, Deputy Head of Roskosmos Anatoly Shilov said that another spacecraft in the series would be launched either in 2013 or at the beginning of 2014. Shilov also said that the satellite had a price tag of 10 billion rubles. During 2013, it also transpired that Persona-3 would carry a laser data-transmission system, BA MLSPI, which enables to send information to the ground via a special relay satellite located in a geostationary orbit. In its annual report for the previous year, the NPK SPP company reported that it had been conducting the Yaguar and LT-150 development projects, OKR, aimed to develop a high-speed data channel via a geostationary satellite for a low-orbital spacecraft. According to the company, the system would be flight-tested in 2014. In case of the successful orbital trials, it would be further developed for other users, NPK SPP said. 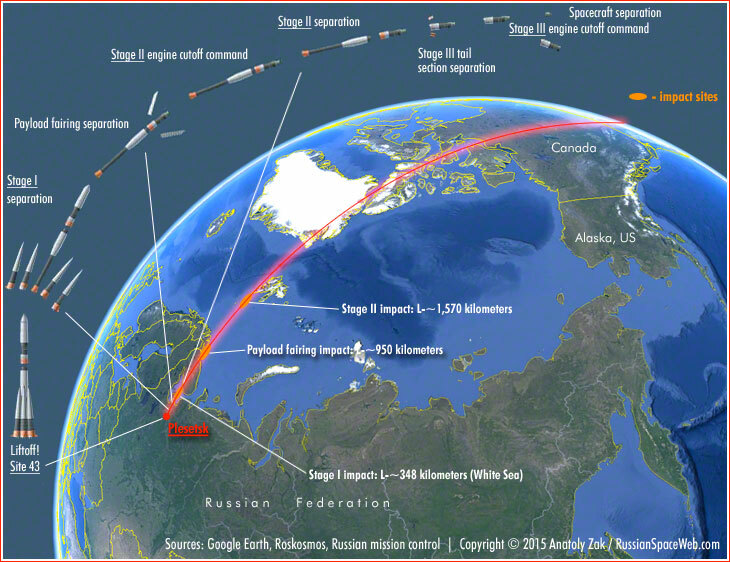 The third Persona satellite was launched on June 23, 2015, at 19:44:00 Moscow Time, from Pad No. 4 at Site 43 in Plesetsk. According to Russian officials, the spacecraft separated from the third stage of the launch vehicle and was scheduled to establish contact with ground control at 21:25 Moscow Time, after completing its first orbit. The spacecraft received an official designation Kosmos-2506. As before, Western radar found the satellite in a 187 by 703-kilometer orbit with an inclination 98.3 degrees toward the Equator. The third stage of the Soyuz rocket was seen near by. By June 28, the satellite fired its engine near the apogee of its orbit, making it nearly circular. The satellite was detected in a 714 by 732-kilometer orbit. Approximate ground track of the third Persona satellite after launch. The development of the next-generation satellite to replace the original Persona family was rumored as early as 2008, but the studies in the field probably started earlier. From the outset, the original Persona project likely relied solely on the three optical telescopes inherited from the Sapfir program and thus could only serve as a transitional step toward yet another new generation of imaging spacecraft. 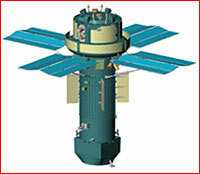 A rendition of the satellite by the editor of this web site combining information from two official images above. Copyright © 2012 Anatoly Zak. Main mirror of the 17V321 telescope for the Persona (Kvarts) satellite. 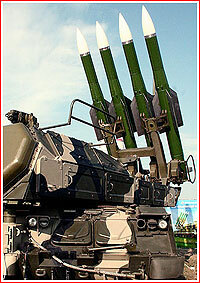 A photo reportedly showing Ukrainian anti-aicraft radar was likely obtained by Persona-2 satellite. Click to enlarge. Credit: Russian Ministry of Defense. satellite. Click to enlarge. Credit: Russian Ministry of Defense.